Meal Replacement Bars are a convenient way to ensure that the calories consumed are perfectly quantified, without having to resort to tricky calculations or calorie fact finding. The bars listed within Meal Replacement Bars are generally low calorie and high protein, making them excellent choices for the those wishing to keep this thermogenic macronutrient maximised in their diets, whilst minimising fat and carbohhdrate. Protein naturally has the ability to increase body thermogenesis, or body heat, which indicates that the metabolism is heightened and energy expenditure increased. This makes burning more calories than you consume that much easier. It is important to note that protein bars should only be used to replace one meal per day unless a quality mutlivitamin and mineral is taken daily. 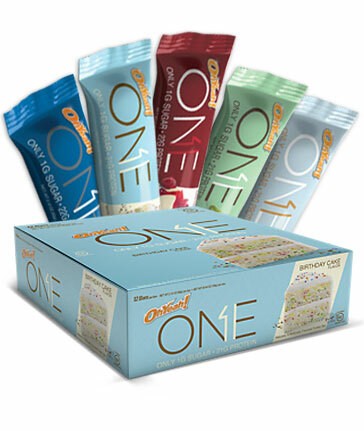 Meal Replacement Bars are best used to replace the highest calorie content meal of the day. By doing this, we effectively cut a large portion of calories out of the diet and replace it with a bar that contains a much lower energy content.